This fun diffuser bracelet helps to stabilize your moods while assisting you in creating purpose and determination.This bracelet takes you on a journey to peace and serenity. It begins by protecting you energy while it cleanses your aura. It then begins to aid with healing self-worth issues as it opens the heart to unconditional love. As the heart is opening it will allow the soul to express itself and harmonize the physical, mental, emotional and spiritual energy. It will be sure to calm the mind as it anchors you to the earth and gives you the courage and strength that you need to move through life. 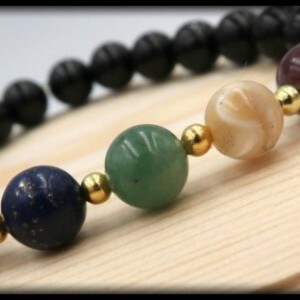 This bracelet also can be used as essential oil diffuser. 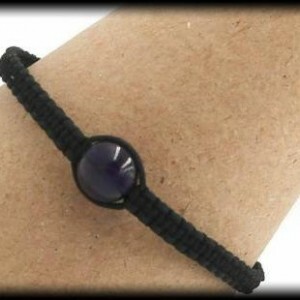 Place 1-2 drops on a single bead and it will add to your already powerful bracelet.